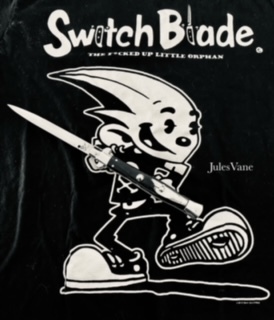 Re: NEW Italian Switchblade book! I still am hoping to find out about the knife on the right in the first pic. Does anyone know what that one is? JimBrown257 wrote: I still am hoping to find out about the knife on the right in the first pic. Does anyone know what that one is? I believe it’s an 1800s Frosolone style knife marked DURANTE. Durante was a cutlery family who had a store in Rome in the mid-to-late 1800s into the early 1900s. fastr19 wrote: Price would be nice. "The book costs 95 euros, but for the first days of sale, it will cost 85 euro ( plus a book shipping costs for U.S.A. 22.75 euro, if you take two book the shipping cost is 30,44 euro). You can pay with a bank transfer." Shipping is a bit high, but guess it is via air mail, or courier service such as DHL, or FedEx, or ? I have no experience with bank transfers. The first books are flying to the united states! On monday you'll see it! orangeboy wrote: I believe it’s an 1800s Frosolone style knife marked DURANTE. Durante was a cutlery family who had a store in Rome in the mid-to-late 1800s into the early 1900s. The sear must move forward, instead of pulling up. I wonder if that thing on the front is a sliding button or if there is something else (maybe on the other side). And that locktab looks too small to be pulled by hand (I guess that could just be an illusion from the pic). I'm so curious to know what you think! It arrived first to you than to the Italians! just ordered one... I'm not sure if the books/newsletters or the knives are more addicting. I ordered my book this morning. Paolo is mailing it out on Monday. I may have it by the end of the week. I’ll post a review ASAP. I'm only on page 41. It's been a wonderful 41 pages. Pics are great as well as history. I ordered one as well. Thanks for the tease now I really can’t wait for my book!